Place the oil, tomato, capsicum, pine nuts, parmesan, garlic, chilli, peppercorns and salt in a food processor and process until combined. Cook the pasta in a large saucepan of salted boiling water for 3 minutes or until al dente. Drain, reserving ½ cup (125ml) of the cooking water. Return the pasta to the saucepan, add the pesto and reserved cooking water and toss to combine. 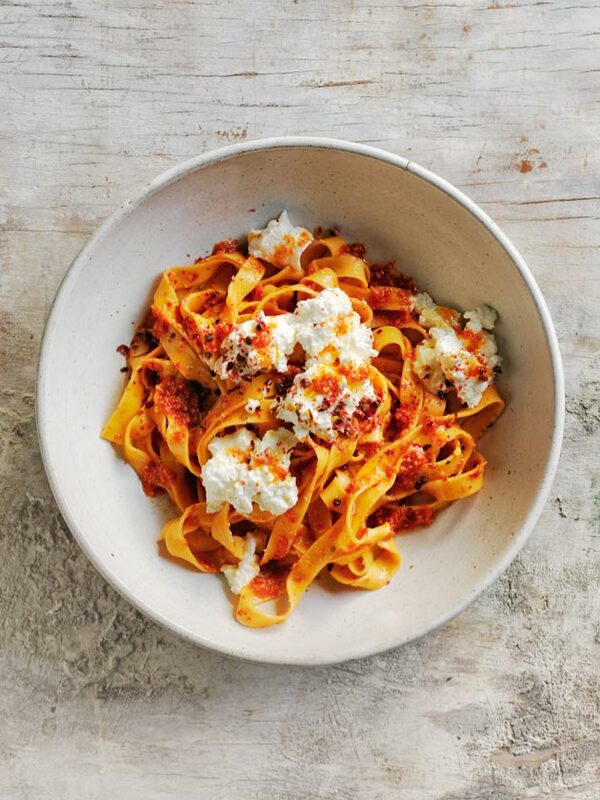 Divide the pasta between bowls and top with the ricotta, extra chilli flakes and extra peppercorns to serve. Serves 4.